Kansas guard Devonte' Graham (4) talks with Kansas forward Mitch Lightfoot (44) during a break in action in the second half on Tuesday, Feb. 6, 2018 at Allen Fieldhouse. 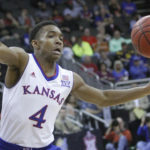 It remains to be seen what distinctions KU senior Devonte’ Graham leaves Kansas with when his stellar four-year career comes to an end sometime in the next few weeks. Big 12 champion? Definitely. Big 12 Player of the Year? Yep. Times two. All-American? Those are rolling in already, as well. National champion? That’s his goal. But regardless of what accolades he adds to his sparkling resume before he heads off to face his next challenge, Graham likely will be remembered first and foremost as a leader. 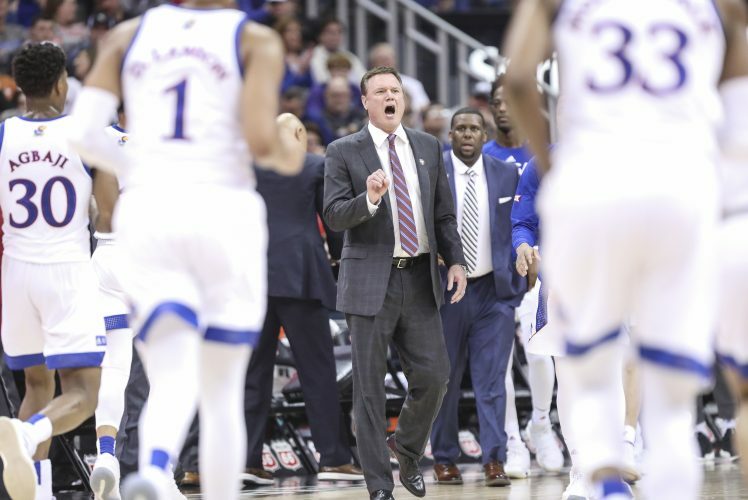 Kansas coach Bill Self has called Graham the best true leader he’s had in his 15 years in charge of KU’s program, and Graham’s teammates talk constantly about his ability to lead them with equal parts poise and passion, friendship and ferocity. Just looking at Graham on the basketball court — head up, chest out, eyes surveying the situation, max effort, mixed with a splash of flash — elicits visions of some of the best leaders who have ever suited up at Kansas. 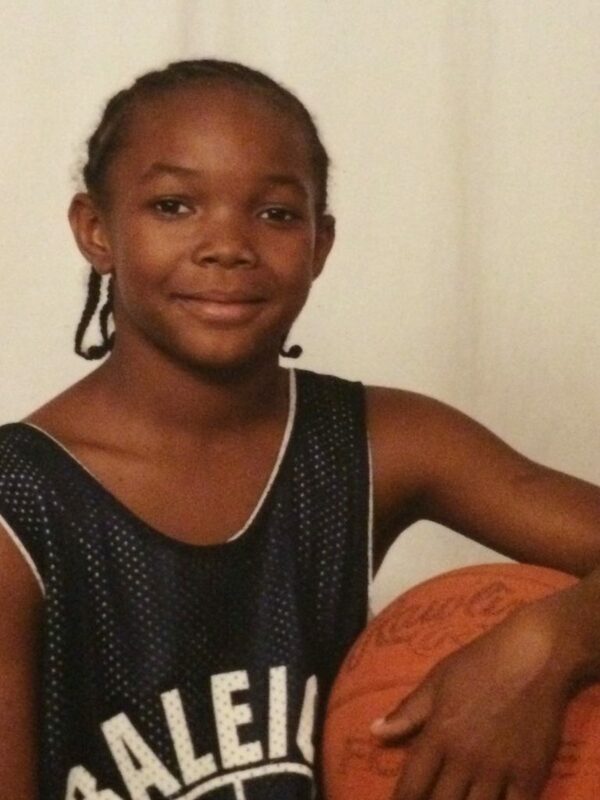 KU senior Devonte’ Graham, shown here at 8 years old in his Roberts Park Community Center team jersey in Raleigh, N.C., developed as a leader on the basketball court from an early age. And like all great leaders, Graham’s ability to achieve the desired result, both of himself and from his team, is what matters most to him. Graham’s path from unexpected son of a 14-year-old mother to legit candidate for national player of the year as a college senior has taken a few dozen twists and turns. 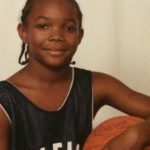 But he met each one with that signature Devonte’ Graham smile, and all of them, good and bad, helped shape the Raleigh, N.C., native into the leader he is today. Clarence Coleman, Graham’s coach for eight years in Raleigh’s famed Garner Road AAU program, recently recalled the time he first saw Graham play. His leadership skills, though just seedlings and uncultivated at the time, were evident from the minute Coleman watched the smooth 9-year-old finish a play in traffic during a game at Roberts Park Community Center, where everyone told Coleman he had to be as he searched for Garner Road’s next 10-and-under point guard. 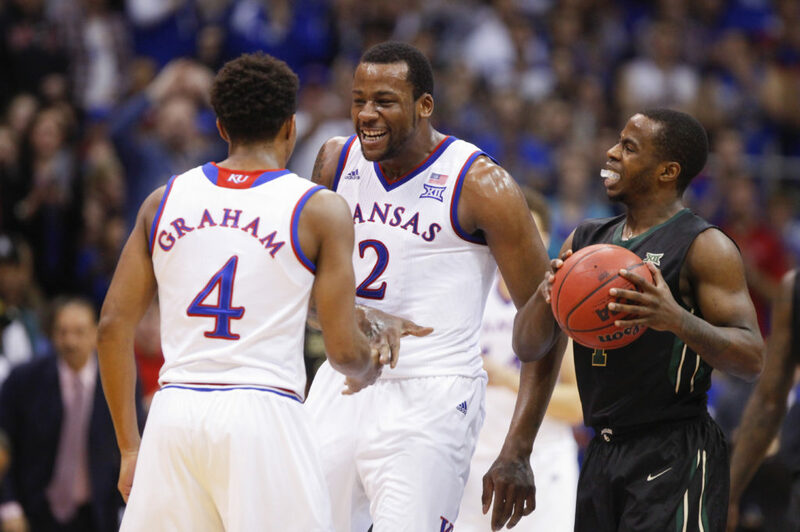 Kansas forward Cliff Alexander (2) comes in to celebrate with guard Devonte Graham after Graham forced a turnover by Baylor guard Kenny Chery (1) during the first half, Saturday, Feb. 14, 2015 at Allen Fieldhouse. From that first day at Coleman’s AAU practice to the time Graham nearly led Broughton High to a state title on sheer will — Broughton was a magnet school about 25 minutes from Graham’s home, and his mother, Dewanna King, insisted he go there because it afforded her son better academic and athletic opportunities — Graham operated with what Coleman called “a magnetic personality,” and perfectly fit the description of “a coach on the floor,” even at age 9 in 2004. 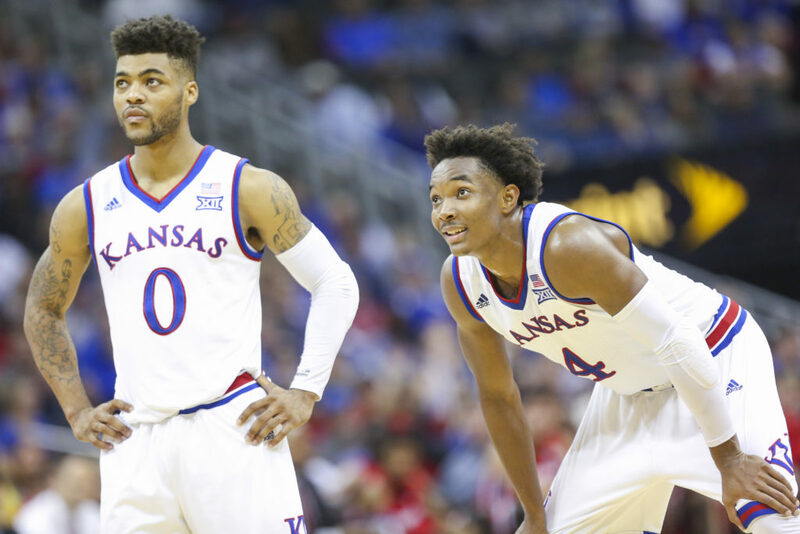 Although those who know him best swear that the elements of an A-plus leader always have been present within him, Graham was not always the confident, comfortable, take-charge type of player that KU fans have come to love. 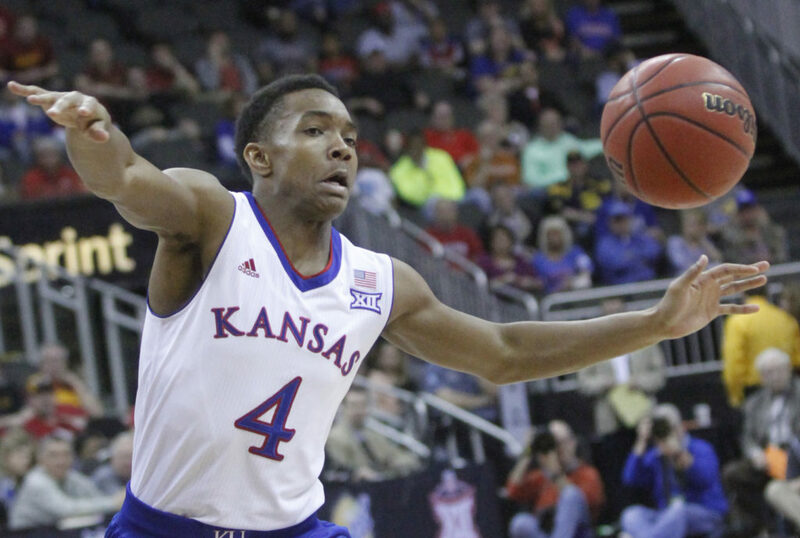 KU's Devonte' Graham (4) loses the ball during the Jayhawk’s 64-59 win over TCU Thursday at the Sprint Center in Kansas City, MO. 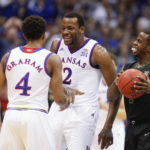 That trait, his mother said, had to be “pulled out of him.” And both Graham and King credit Self for being the right man to inspire Graham to step out of his comfort zone and into a role that Kansas needed and Graham was destined to fill. 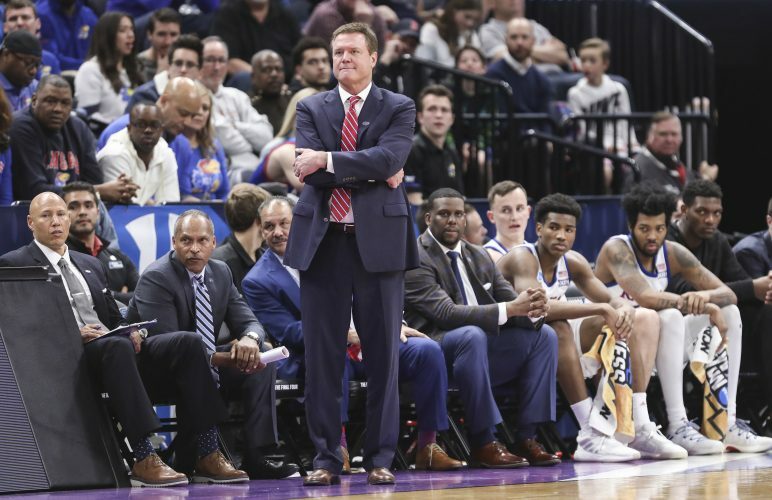 Graham quickly learned exactly why Self used that phrase — and why he needed to eliminate the fear — during his first summer on KU’s campus back in 2014, when the baby-faced freshman from Brewster Academy stepped onto the court with established Jayhawks and future pros Kelly Oubre Jr., Frank Mason III, Perry Ellis, Wayne Selden Jr. and others. Kansas guard Frank Mason III (0) and Kansas guard Devonte' Graham (4) watch a free throw during the second half, Tuesday, Nov. 22, 2016 during the championship game of the CBE Classic at Sprint Center. It was not so much a yeller and a screamer that Self was searching for, but he knew he needed someone who would push the rest of his roster while holding himself to impossibly high standards at the same time. Through his electric personality, relentless work ethic and always-positive perspective, Self saw, almost immediately, that Graham could be that player. Needing a nudge to help the idea take root, Self brought in a group of military veterans who founded the team-building initiative known as “The Program,” to see if they could help bring Graham’s natural leadership skills to the surface. KU’s time with The Program that season coincided with Self’s already infamous boot camp conditioning routine. Together, the two challenges pushed Graham to new highs — and lows — and inspired him to find his voice. After a day of getting used to the rigors of The Program, Graham was put in charge of nearly a dozen different challenges during the next two days. Communication, motivation, survival and focus all came into to play, and Graham flourished while leading his teammates through it all. 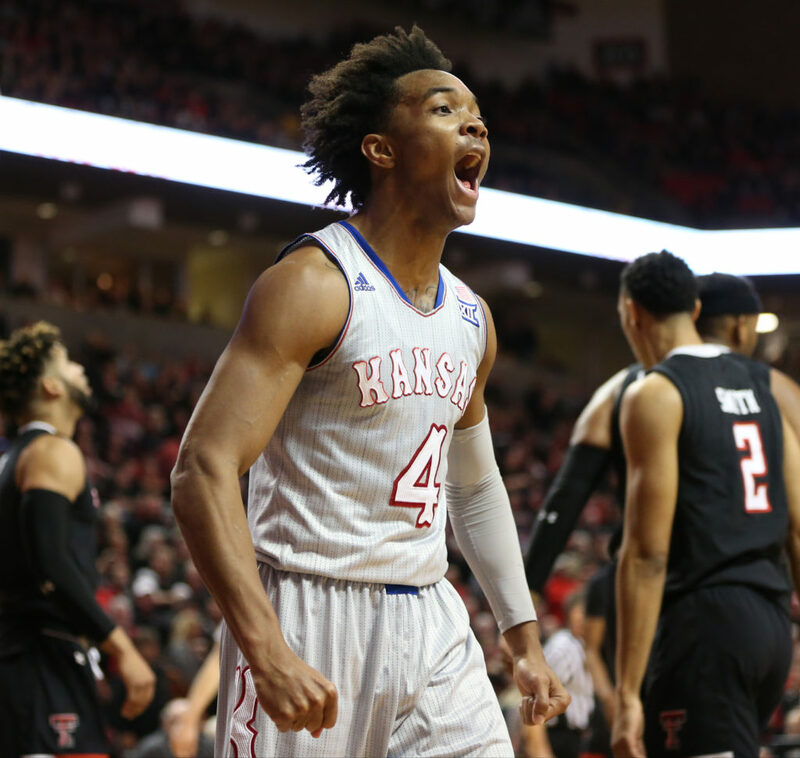 Kansas guard Devonte' Graham (4) roars after a bucket and a Texas Tech foul during the second half on Saturday, Feb. 24, 2018 at United Supermarkets Arena. Never was that more clear than during an exercise in the 13-foot-deep end of the swimming pool, when Graham and former teammate Tyler Self were forced to help Cliff Alexander navigate his way across the pool despite the freshman forward from Chicago not knowing how to swim. “Mom, I almost died today,” was the way Graham later relayed the story to King. But Graham got through it. And so did Alexander. Eric Kapitulik, a former lacrosse player at the United States Naval Academy and retired Marine who founded The Program, remembers it like it was yesterday. That’s saying something given the fact that his company, during the past 10 years, has worked with more than 150 college, pro and corporate teams annually in similar settings. Their goal, each time, is to develop better leaders and create more cohesive teams. By the time they were done with the Jayhawks, Kapitulik had seen all he needed to see from Graham to know what kind of future the newest Jayhawk had in front of him. 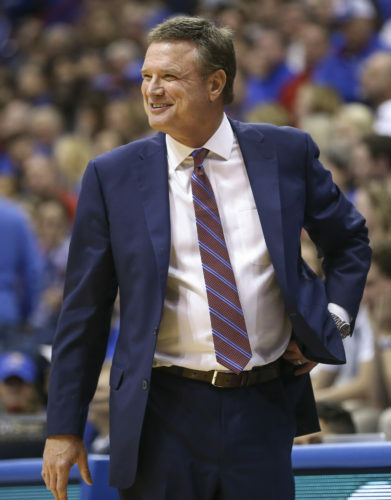 After putting KU’s entire 2014-15 roster through as many physically and mentally adverse situations as they could think of, Kapitulik and his crew named Graham the best leader of the bunch. Graham was shocked. His mother beamed with pride. And the KU coaches, as impressed as they were, realized they might have just hit the jackpot. “When Devonte’ wasn’t in a leadership role he was an exceptional teammate,” Kapitulik recalled in a conversation with the Journal-World. “And then, when we put him in a leadership role — and Coach Self wanted us to put him in that leadership role — he was able to do that equally as well. That’s special as a freshman. Remember, the season hadn’t started. He hadn’t played a lick for KU. For his efforts, Graham received The Program’s signature T-shirt given to the most prolific leader in each group. It’s a basic, understated gray shirt with The Program’s logo on it, featuring a black circle and upside down Greek letter Lambda, both of which pay homage to Spartan warriors of ancient times. Graham and Kapitulik still keep in touch to this day — Graham calls him “Cap” and they talked as recently as two weeks ago — and Kapitulik reflects on his brief time with Graham like a proud older brother bragging about his talented younger sibling. The magnitude of his performance that week was not lost on Graham, even then as a 19-year-old freshman. Graham’s humility and knack for downplaying even his biggest achievements always has been a part of his DNA. His mother says he got that from her, and she got it from her own no-nonsense, tough-as-nails mother, Doris King. In the same breath, Graham’s mom said the traits her son inherited from the strong women who raised him would not have brought him this far without leaders such as Self, Kapitulik, Coleman and others pulling him along. Truth be told, it still does. Graham still has that gray T-shirt hanging in his closet, a memento of a milestone and major breakthrough in his life. After his encounter with The Program, Graham’s leadership took off. 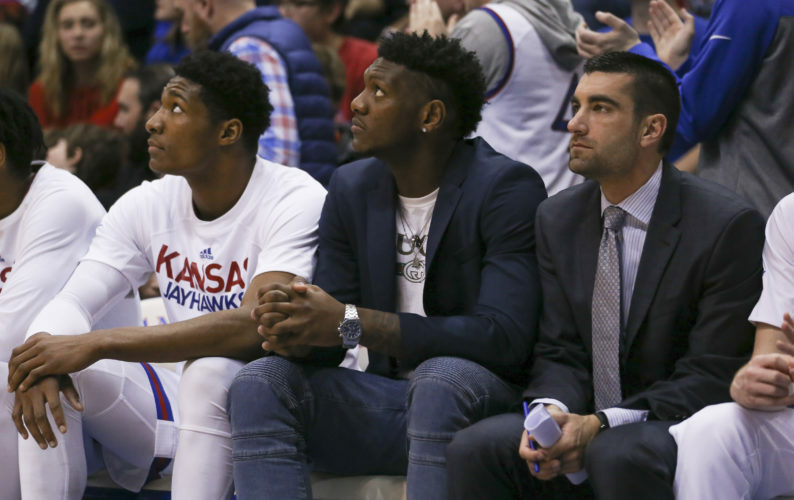 The KU senior gives former Kansas teammate Jamari Traylor the title of “best leader he has ever played with,” and credits former KU point guard and one-time assistant director of student-athlete development, Aaron Miles, for forcing him to take a different look at the way he led. It was Traylor’s demeanor — tough, but always positive — that most impressed Graham about the forward from Chicago. And it was a challenge presented by Miles that inspired Graham to elevate his already strong leadership with a new approach. And it did not take Graham long to put Miles’ challenge into practice. Every time he found himself riding one teammate or demanding better from another, his voice grew louder. It eventually carried such a sonic boom that Graham even found himself occasionally barking at consensus national player of the year Mason during the 2016-17 season. Stories like those often blew the mind of Graham’s mother — a woman whose biggest piece of advice when Graham was deciding between Kansas, North Carolina State and Virginia after his year at prep school was to pick the place he would be happiest even if he never played. Graham never had that because-I-said-so relationship with his teammates — at least not verbally. But that was because he did not need to. Graham’s expressions and body language, more often than not, told teammates all they needed to know. 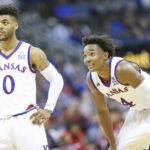 Although the lasting image of his time at Kansas may very well be Graham, with intensity in his eyes and the ball in his hands, pointing teammates in the direction they need to go, it’s the more subtle aspects of leadership that always impressed those who have been with him every step of the way. For his mother, it was Graham’s willingness to keep an open mind — despite kicking and screaming all the way there — at the 4-H Youth Ambassadors program she enrolled him in during high school, which first allowed her to see her son as someone capable of tackling things bigger than himself. For Self, it was Graham’s unselfish nature that provided the first glimpse of Graham’s ability to be an elite leader, the kind of player willing to put everything aside for the good of the team. “We had a meeting one time,” Graham recalled, “and he was just saying that the way I sacrificed a lot and deferred to Frank, letting him take over last year, that’s leadership. 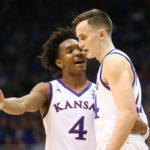 And, for Coleman, who first met Graham as a scrawny 9-year-old with braids and happily watched as he developed into the current face of Kansas basketball, Graham’s ability to put his team first and his own wants and needs second always was, and remains, his favorite part about Graham’s game. Coleman had a short and sweet way of communicating this to the Division I basketball coaches who began recruiting Graham after his stint at Brewster Academy. 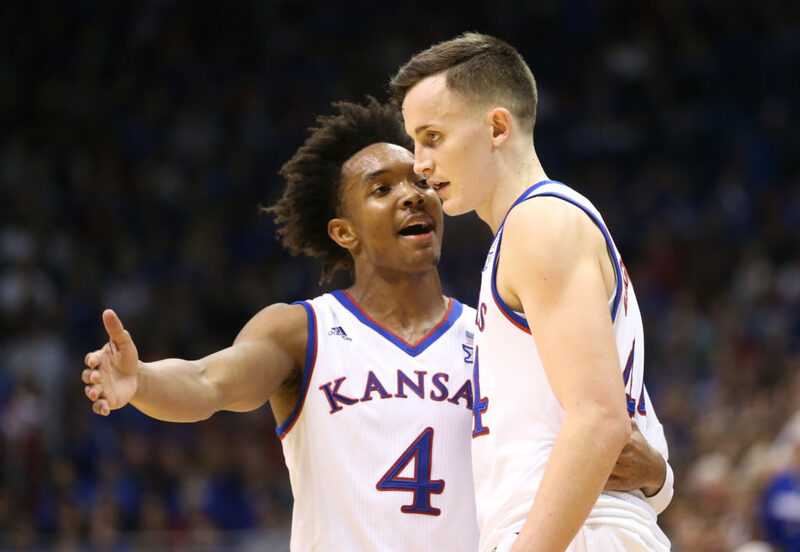 Kansas guard Devonte’ Graham (4) talks with Kansas forward Mitch Lightfoot (44) during a break in action in the second half on Tuesday, Feb. 6, 2018 at Allen Fieldhouse. KU’s Devonte’ Graham (4) loses the ball during the Jayhawk’s 64-59 win over TCU Thursday at the Sprint Center in Kansas City, MO. Kansas guard Frank Mason III (0) and Kansas guard Devonte’ Graham (4) watch a free throw during the second half, Tuesday, Nov. 22, 2016 during the championship game of the CBE Classic at Sprint Center. Kansas guard Devonte’ Graham (4) roars after a bucket and a Texas Tech foul during the second half on Saturday, Feb. 24, 2018 at United Supermarkets Arena.